When documents land in the hands of the wrong person, your privacy, finances, and standard of living could be at risk. There’s only one way to prevent this invasion of your personal or business life – onsite document shredding. Call us today so you can have those documents destroyed so they don’t get into the wrong hands. When residents and businesses in Chelmsford MA need to safely dispose of confidential records they can make one call to A1 DATASHRED. With one call we will help you chose the best service for you and give you a fair price quote. If you’re ready you can also make your appointment. Our industrial shredders are available Monday through Friday to come to your location. Simply pick up the phone and talk to one of our team members and you could be shredding as soon as tomorrow. With our onsite document destruction service, you’ll know for sure that your confidential papers have been destroyed. Our fleet of paper-destruction trucks is ready to be dispatched to your location to destroy your private documentation – and best of all, you can watch it as it is happening! Operated by our uniformed technicians, our mobile shredders come with viewing screens so you can witness every part of the process as it happens. One-time Shredding – Whether you need document destruction services once or once in a while our onetime purge service gives you all the flexibility you need to order our onsite service for your company in Chelmsford MA whenever you need it. Our on-demand purge service is the perfect solution for that occasional need to destroy business records. Simply give us a call to make an appointment. Scheduled Shredding – In the normal operation on many businesses they are discarding papers daily. You need to be mindful that one piece of paper can contain enough information to cause a data breach if it were to get into the wrong hands. Prevent this from happening with our scheduled document destruction service. It’s a convenient solution to be compliant with privacy laws and protect the information of your business and clients. We’ll place our locked containers in your office so you can deposit all papers as needed and our staff will arrive to empty it for shredding on an ongoing schedule. We offer daily to monthly schedules. Every person knows when its garbage night is, but do you know what happens to that trash as it sits on the curb waiting to be picked up? Identity thieves have no qualms about digging through your trash to find confidential information that you mistakenly put in with the household garbage. Protect yourself by destroying all personal documents when they are no longer needed with our residential shredding service. A1 DATASHRED will come to your home Monday to Friday and shred them for you so you don’t have to worry. Every computer or external hard drive stores the history of all the actions performed on that computer. Hitting the delete button doesn’t remove the information from the hard drive. Rely on our on-site hard drive destruction service to make sure the information will never be accessed again. We’ll come to your location to physically destroy any trace of information that lives in your hard drives. We also record the serial number of each hard drive and give you a certificate of destruction list each hard drive that was destroyed.  Only the best shredding companies awarded the NAID AAA Certified, and A1 DATASHRED is one of those companies. We have been audited by the National Association of Information Destruction for upholding the highest standards when handling confidential information. Our staff is trained to follow strict protocols to ensure your confidential documents are alwys secure through the entire destruction process. We protect your private information and we protect the environment. We avoid adding to landfills because we recycle every document we shred. 17 trees are saved every time we shred one ton of paper. If you’re in Chelmsford MA, call for a consultation, quote and appointment today, and start shredding tomorrow.